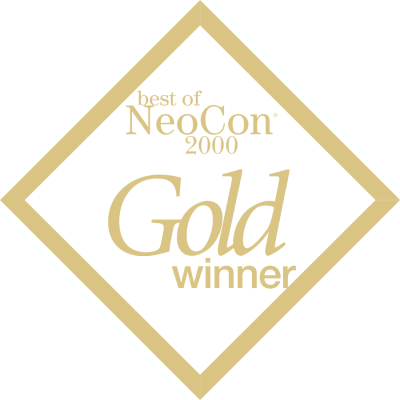 "When we first started there wasn’t anyone quite like us... we helped promote the concept of ergonomics in the workplace." 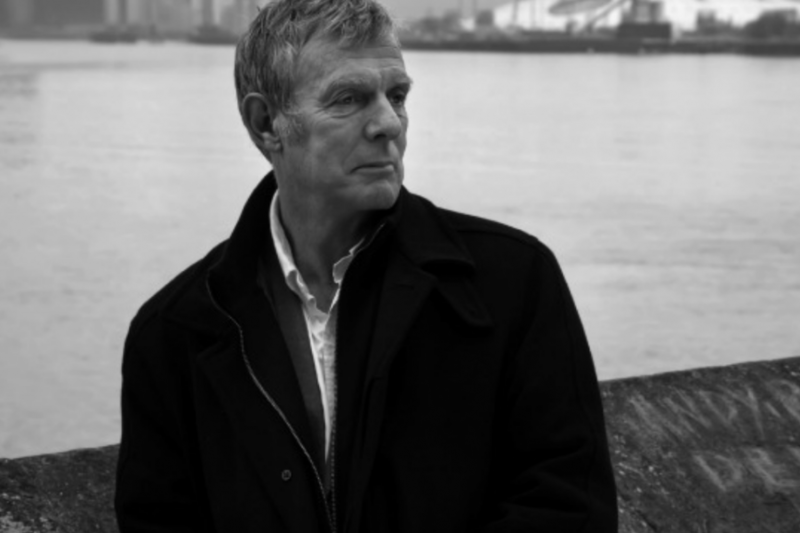 Colebrook Bosson Saunders has been drawing on the varied and complementary skills of its founders Martyn Colebrook, Peter Bosson and Brenda Saunders since its inception in 1990. Their blend of architecture, product design and furniture design created unique solutions that facilitate interaction between technology and furniture in the workplace. 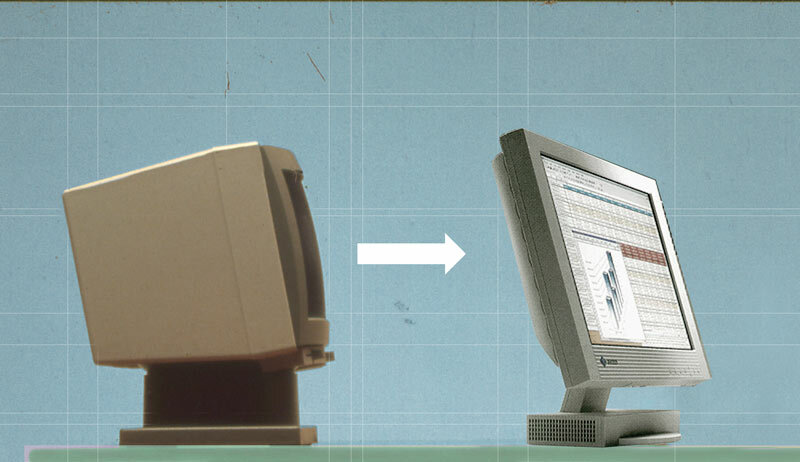 This distinctive approach redefined workplace ergonomics, and still influences how people sit and work with computers today. 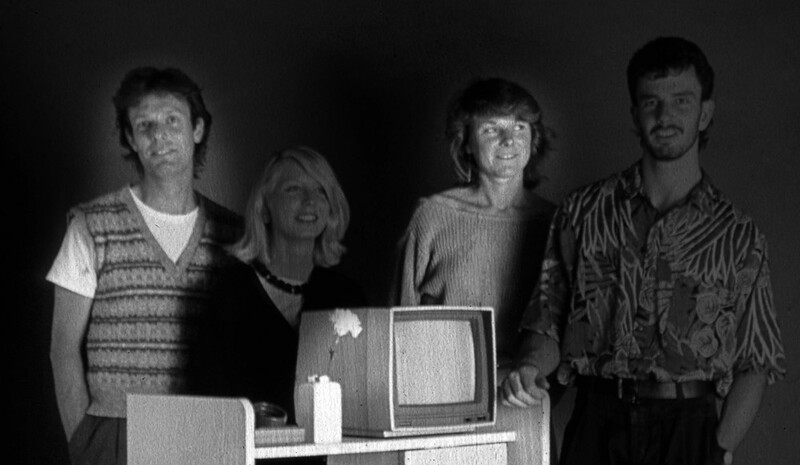 Peter and Brenda formed a working Practice after meeting at the Royal College of Art. 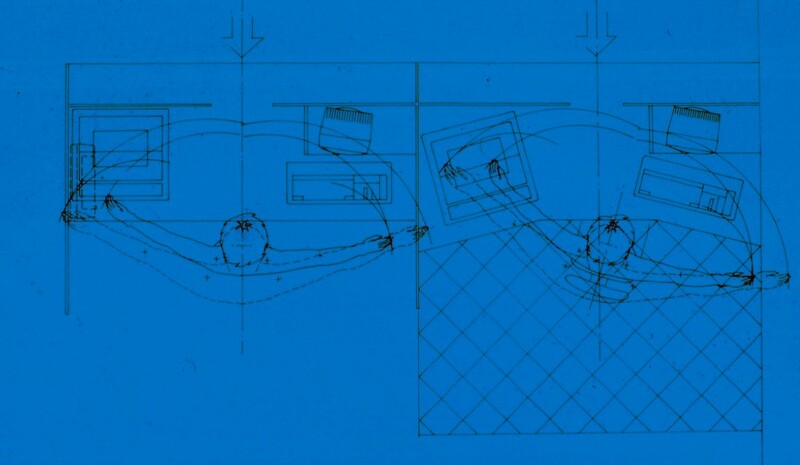 During this time a series of ergonomic studies were undertaken in Italy in the Ettore Sottass’ department of Olivetti. These were the first studies of workplace ergonomics of their kind, leading to the first products that reclaimed desk space for workers. 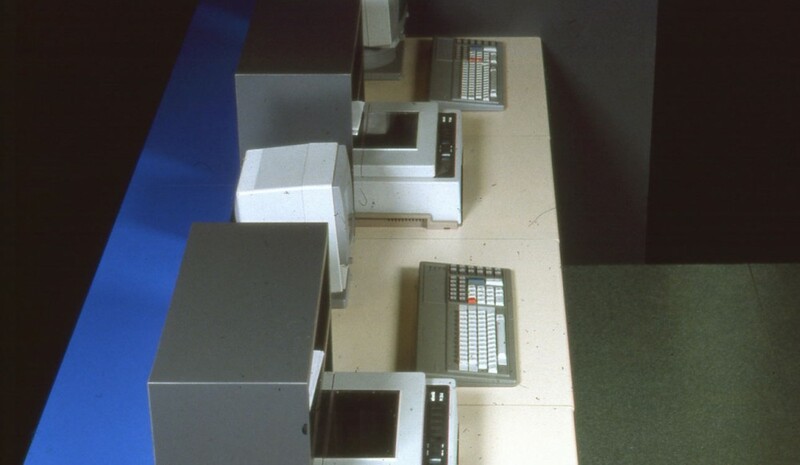 ECC legislation followed in the late 1980’s to compel firms to implement ergonomics for workers. Peter Bosson and Brenda Saunders circa 1984. 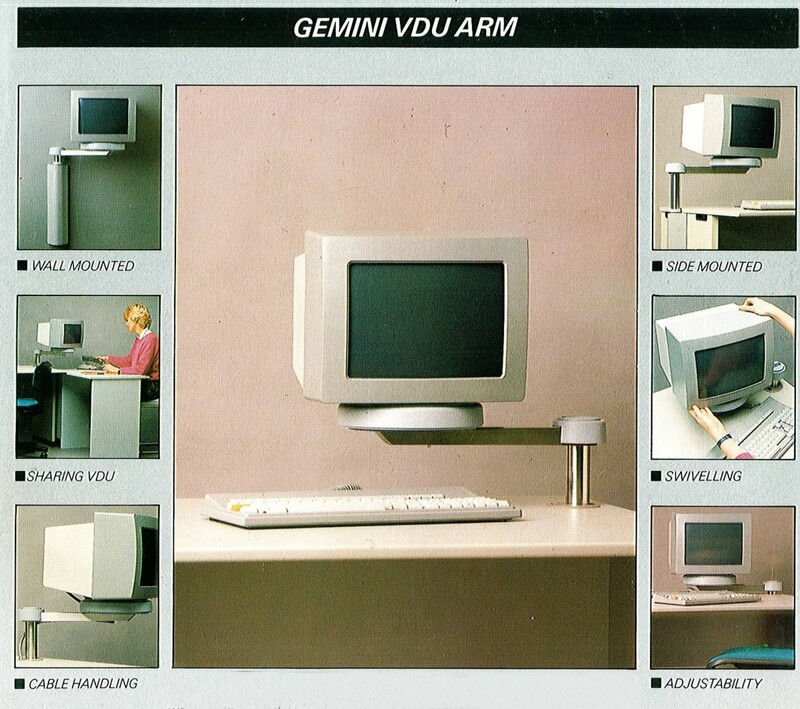 By 1985 this research resulted in the development of Gemini. 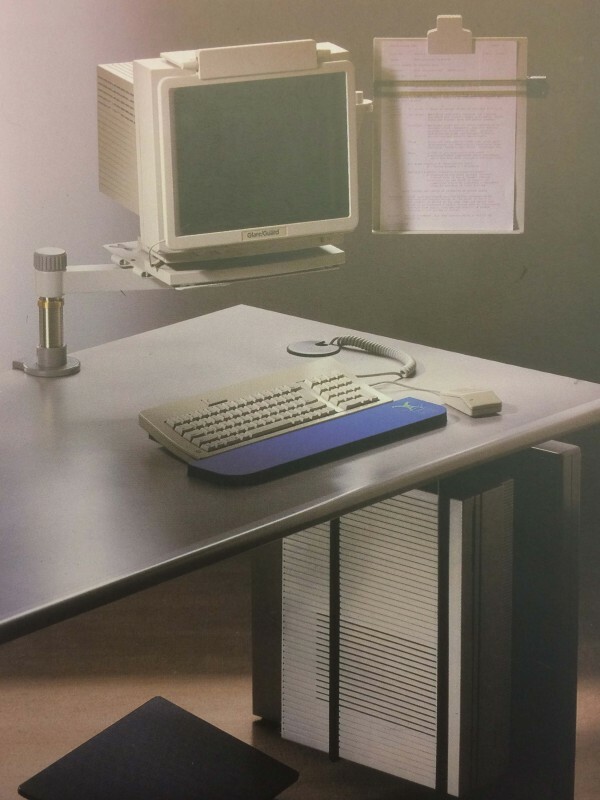 The world’s first articulating monitor support that lifted the visual display unit (V.D.U) off the desk surface, reducing neck strain and providing the user more desk space. 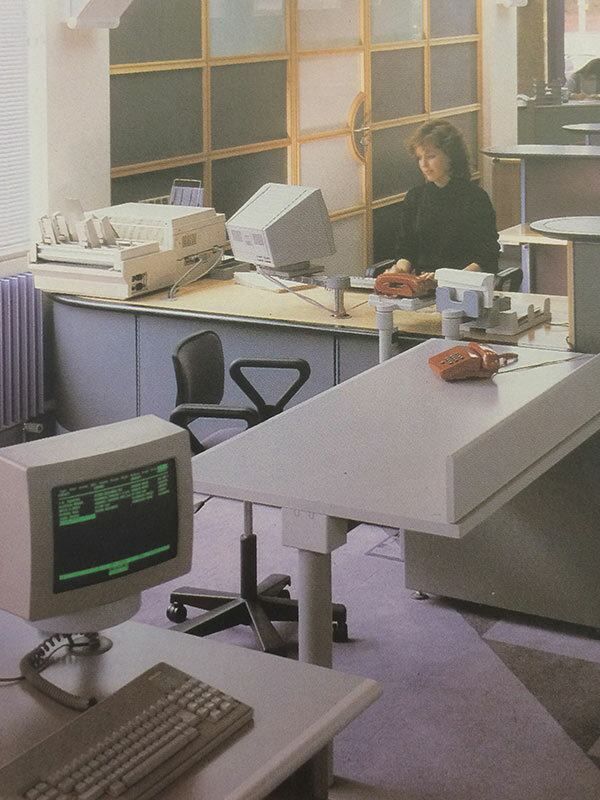 Monitor arms are now considered an integral part of the workspace but back in 1985 this was a huge leap in terms of ergonomic working and making the technology conform to individual requirements. 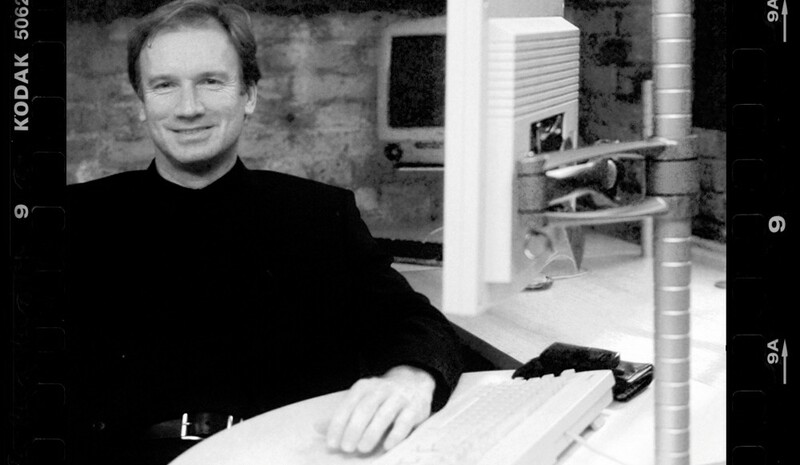 The designs pioneered by Peter and Brenda in the 80’s, along with their contacts in the financial sector, demonstrated that there was potential to start a business designing and manufacturing ergonomic technology support tools. Colebrook Bosson Saunders forged new ground and pioneered workplace ergonomics with their award-winning portfolio of: monitor arms, cpu cradles, keyboard aides and footrests. 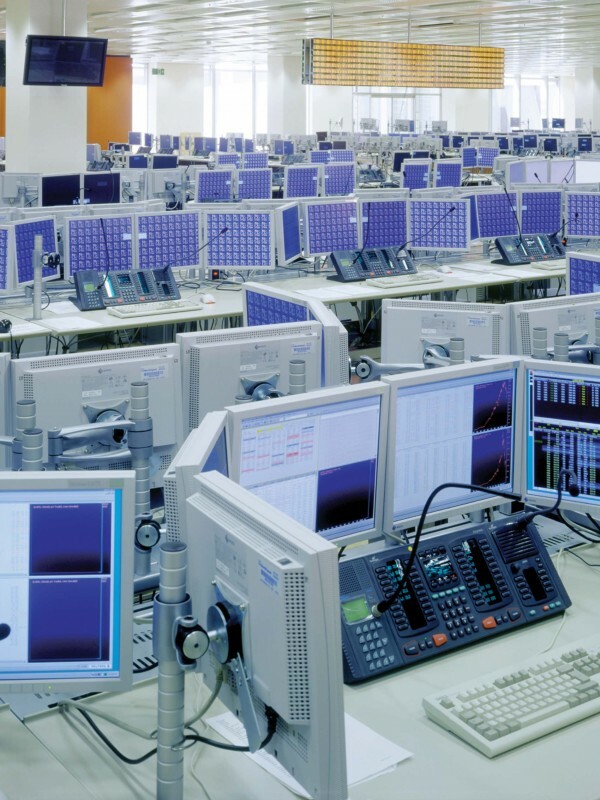 Then in 1996, 6 years after Colebrook Bosson Saunders’ initial offering, there was a technology shift with the advent of the flat panel screen. Proving that inspiration can come from anywhere, it was a windsurf board that lead to the idea for supporting flat screen monitors. While windsurfing with Martyn, Peter noticed that his boards’ mast and sail were supported by a rubber ‘O’ ring where mast and board met. From this realisation CBS designed Wishbone, the first ever flat screen monitor arm on the market. This lateral approach to design has continued to enable Colebrook Bosson Saunders to create market firsts and award-winning designs which help drive human performance and improve user wellbeing.